Would you like to go for lunch? We would love to have you join us every 2nd Tuesday of the month when our “Young at Heart” group meets together. The group meets at Perkins at 11:30 am for an informal luncheon. Everyone is welcome. If you’ve never come before, we’re inviting you right now to come and enjoy lunch with us. Contact Kit Miller for more info. Do you enjoy quilting? Or have you always wanted to learn? 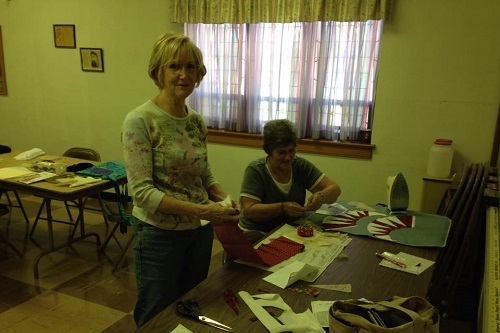 Our church has something very special that not too many churches have to offer, and that is our very own “Quilters.” We have six very dedicated women who meet every Wednesday morning at 9:00 am to hand sew “love stitches” in all the quilts they make. Anyone that has a quilt top that needs quilted may bring it to the ladies for stitching. The cost will depend on how much thread is used. If you would like to purchase a pre-made top, Mary Katherine has some available. She is our “premier” quilter and has been quilting at Bethany for over 30 years. 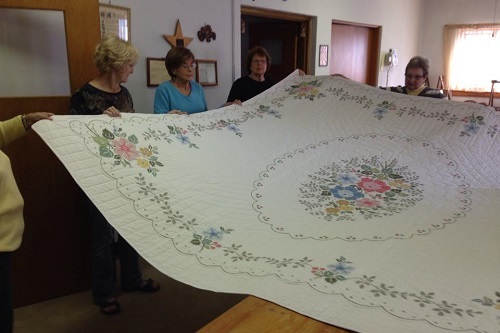 If there was a quilter’s “Golden Needle” award, it would have to go to her. We welcome new quilters. If you don’t know how, they would love to teach you! We’ve recently changed out name to “Fellowship in Projects and Mission” or “FPM Group.” This group was started around 3 yars ago with about 5 women getting together to share their crafting abilities. But over the year’s we’ve expanded into different areas of mission. Not only are we still doing crafting projects but different mission projects, and lots of cooking for various fundraisers. Anyone is invited to join with us every Wednesday at 9:30 am in the Fellowship Hall. Even if you just want to come and have a cup of tea or coffee and fellowship with us, we’d love to have you! Also, we would love to have suggestions of any projects that we could teach! “What are they doing on the lawn over there?” Don’t just wonder, join us! Weekly during the summer, we have a great time playing Bocce Ball. 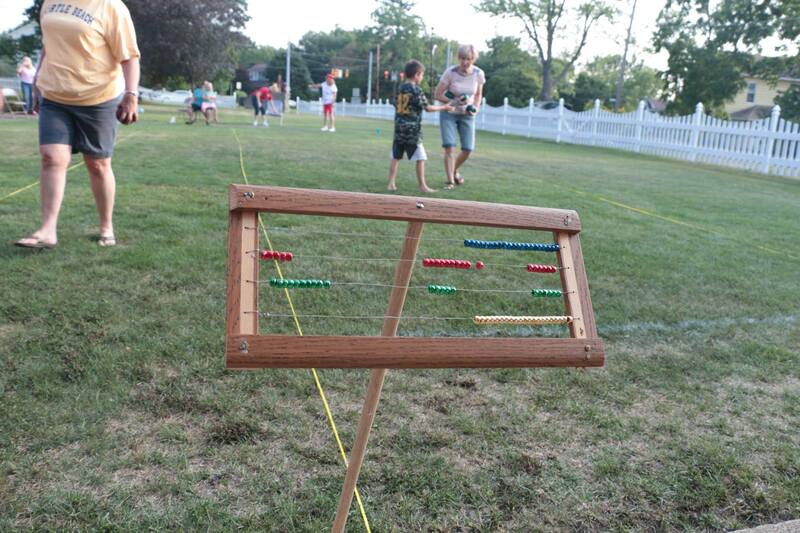 It’s an easy game to learn, and all ages enjoy it. You will, too! You may even make a new friend or two along the way. Mondays at 6:30pm in the front lawn of the church. We meet regardless of weather. If we can’t be outdoors, other activities are planned in the fellowship hall, so come rain or shine! Open to both men and women during the summer months. We carpool to Oakbrook Golf Course in Stoystown. We play 9 holes together and it is always a fun evening of golf and fellowship. So, if you are a golfer at any skill level, plan to come out and join us.